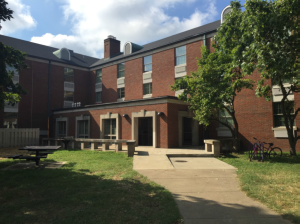 Kendall Hall Dormitory – Registration will be held in the dorm lobby upon arrival. The Henderson County, Kentucky Christadelphian Ecclesia would like to invite you to join us for a spiritually uplifting week of bible study and fellowship with those of like precious faith. Lord willing, the 2018 bible school will again be held on the campus of Kentucky Wesleyan College in Owensboro, KY. The school will begin with the Saturday evening meal June 29th, and conclude with the noon meal Friday July 5th. Registration should be submitted by mail. There will be no registrations by phone or email, but confirmations may be by email. A deposit of $25.00 per person for ages 13 and over is required up to a maximum of $100.00 per family. Deposits cannot be refunded after May 1st except due to an emergency. Your registration will be acknowledged upon receipt. Please be sure to indicate each child’s birthday (Month, Day, Year). This will allow us to plan classes accordingly. You can download our 2019 registration forms by going to the drop down tab and selecting either the PDF or JPEG version of your choice.